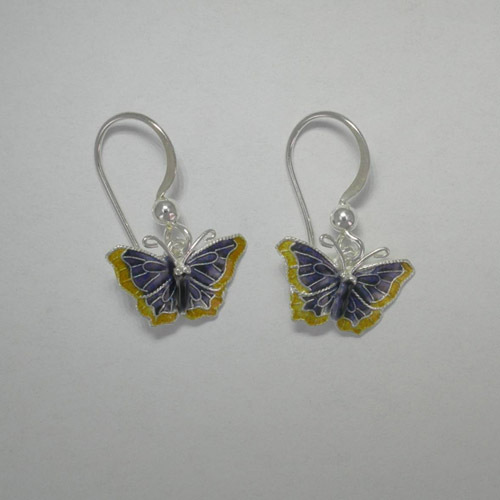 Desc: Sterling Silver enamel small Nymphalis Antiopa butterfly earrings. The ear wires are fashioned from Sterling Silver. The Nymphalis Antiopa butterfly is also known as the Mourning Cloak butterfly. Purple and yellow enamel are mounted on the wings of the butterfly. The earrings have bright polish finishes.